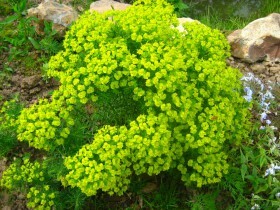 Plants for arid gardens, mallow, periwinkle, Euphorbia, juniper, barberry, photo and video. Not every plant is adapted by nature for the normal development in the conditions of lack of moisture. Some wither, other leaves lose turgor, others simply do not rise to the required values. What to do, if you water the garden often, there is no physical possibility? The site can be located far from the city, to visit him more than two days a week is almost impossible: work, care, the distance. 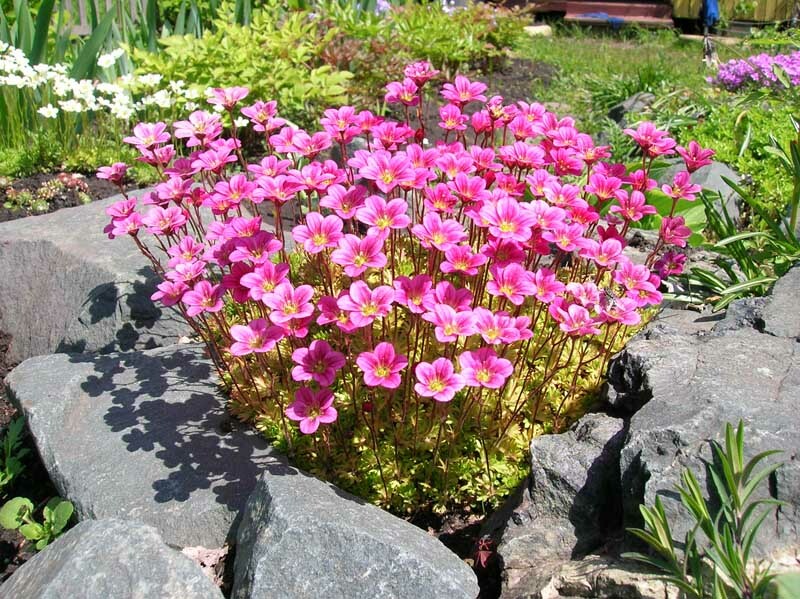 In this case, to solve the problem a special selection of drought-resistant plants, able to wait for your green thumb even on a clear and Sunny weather and low moisture, and it does not lose its vitality and attractiveness. Drought-tolerant flowers thrive on poor soils and do not tolerate waterlogged soil with no outflow of water, if both available – the plants may die. Good and thoughtful drainage is a prerequisite to properly arranged flower bed. In the selection of the place of arrangement it is important to consider its illumination: some drought resistant flowers like the sun, other – shadow. Plants should be well combined with each other, moisture-loving varieties will feel uncomfortable next to the crops, can not tolerate excess moisture. The desire to connect the unconnected can cause problems with watering. Furnishing good drainage in the soil are sand and gravel. Watering is carried out in the morning, reducing moisture loss day. Land plants need some distance from each other, leaving enough space for free water evaporation and growth of aboveground parts. To retain moisture in the soil by using mulching with chopped leaves, sawdust, straw. 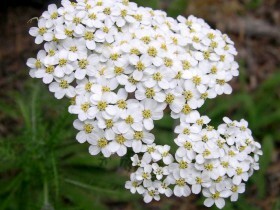 Most drought tolerant plants in the wild growing on poor soils, lacks organic matter, when preparing the flower garden it is better to restrict fertile additives. Among the drought tolerant plants you can find a lot of bright, decorative flowers, unassuming by nature, but decorating a garden, giving its visitors pleasant aromas. They also attract pollinating insects. 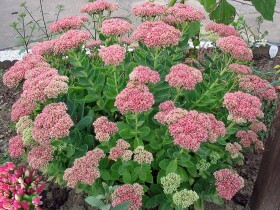 Even with a great variety of such plants, among them we can mention a few unconditional favorites. All of these cultures feel comfortable in the most adverse conditions, for example, being planted between the roots. They make out dry slopes, rock gardens, rockeries. 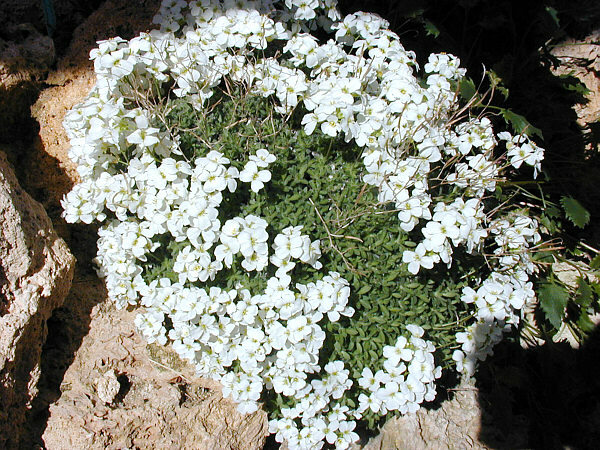 Sufficient resistance to drought differs styloid Phlox, alyssum, gaylardiya, saxifrage. Lavender shrubs are able to make garden paths and fill the garden a magical flavor. 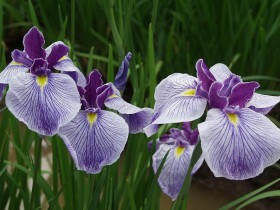 Beloved by many gardeners irises are also able to grow normally and to develop in not the best conditions, another thing, the flowering period they have a small: from three to five weeks. 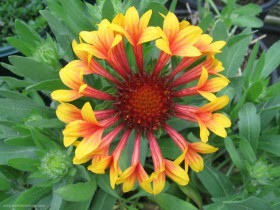 Some varieties may re-bloom in the fall. 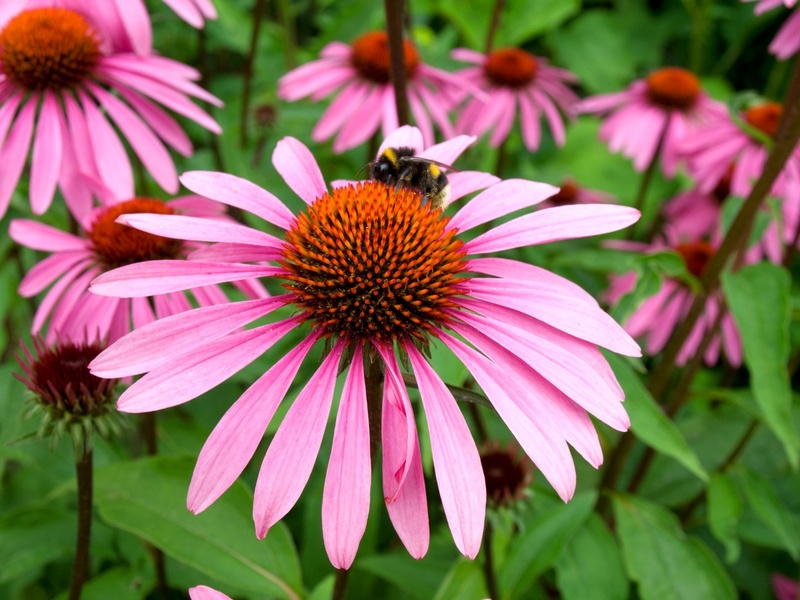 For processing dry areas of suitable Echinacea – guest from warm countries with bright colors purple, Burgundy, pink and yellow hues. 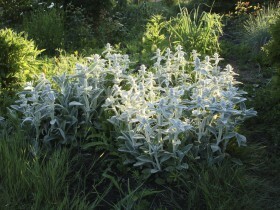 The original texture to the flowerbed will give Stachys Byzantine, people call it "lamb's ears". 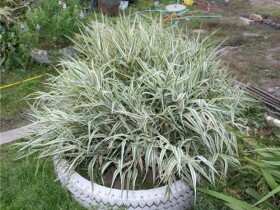 Silvery foliage has a velvety texture, a perennial plant on the growth creates a soft "cushion". 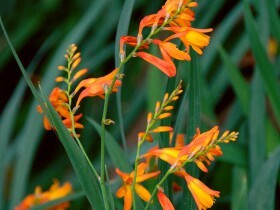 Beautiful African crocosmia consists of about fifty species, flavor similar to saffron. Stars plants decorate the open beds from mid-summer to late autumn. The two-meter handsome mallow create fancy screens, decorating areas until the first frost. Spectacular plants require a minimum of trouble: enough seeds to sow in the ground two feet apart in well-drained and fertile soil. 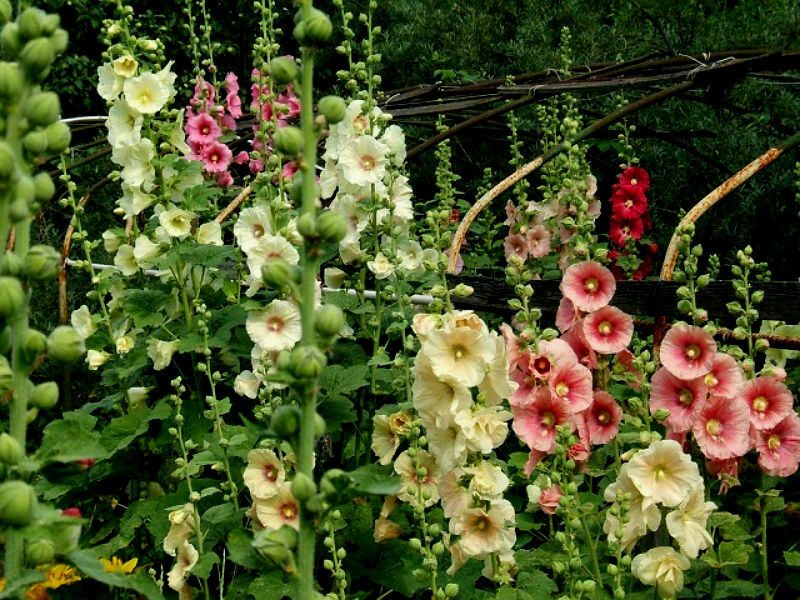 In a year or two there is the opportunity to enjoy flowers mallow white, yellow, Burgundy or purple shade from early summer to late autumn. Ornamental onion, or Allium deserves a separate, attention. In the spring he throws high hands almost the height of a man, elegant globular inflorescence look very unusual and stunningly beautiful: they can be white and pink, lilac and reddish-purple. 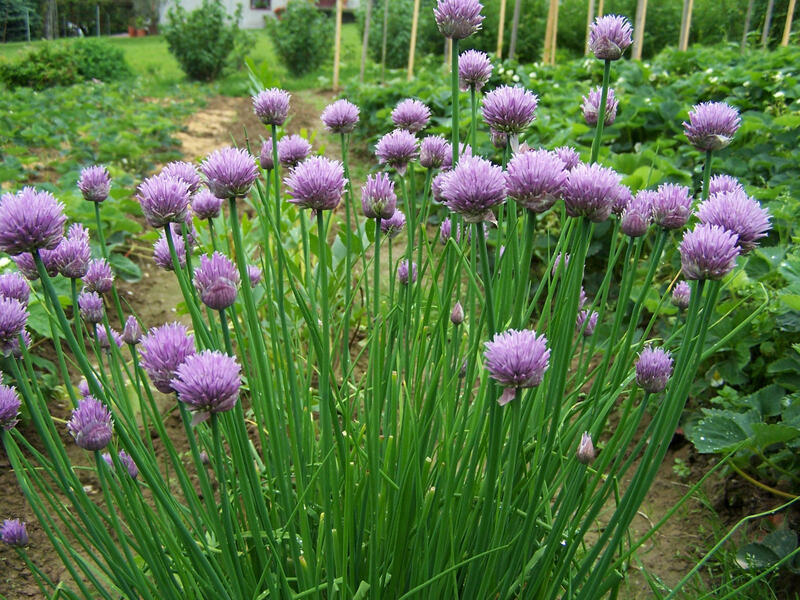 Onion smell will protect the garden from harmful insects. 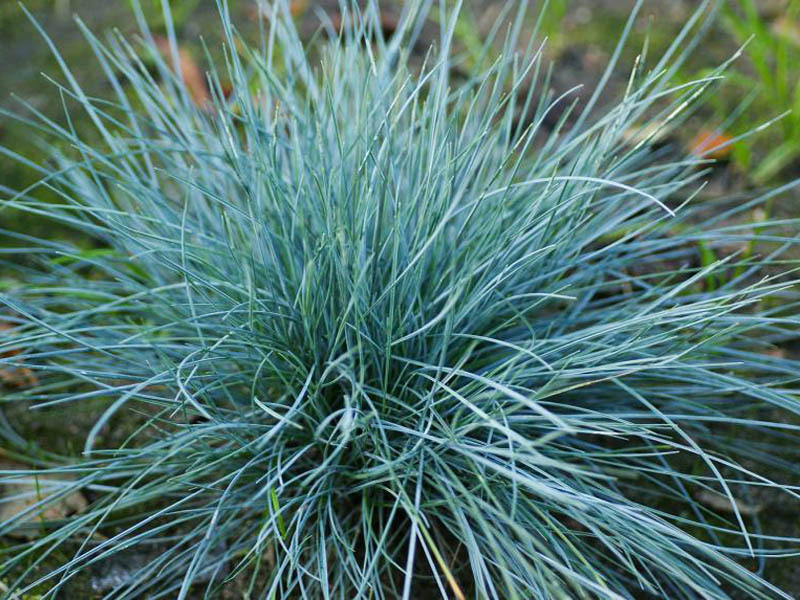 Clumps of glaucous fescue compact, reminiscent of a hedgehog with blue needles. The plant looks very impressive on the Bank of artificial and natural reservoirs, in rocky gardens. Fescue likes fertile soil with good drainage. The spire is a decorative grass, forming high "cushion", grass variegated, white-green tones. Elimus interesting, pointed blue-gray leaves, it is also a cereal. Negative quality – the plant grows quickly and can crush "neighbors". It is better to plant in a container without a bottom, so the roots are not growing. A favorite amongst drought-resistant shrubs is barberry. Branches studded with thorns, foliage – bright, elegant, designed in yellow, pink brown, red shades. Branched shrubs love the sun, but tolerate and darkened places. The Euonymus in the fall. 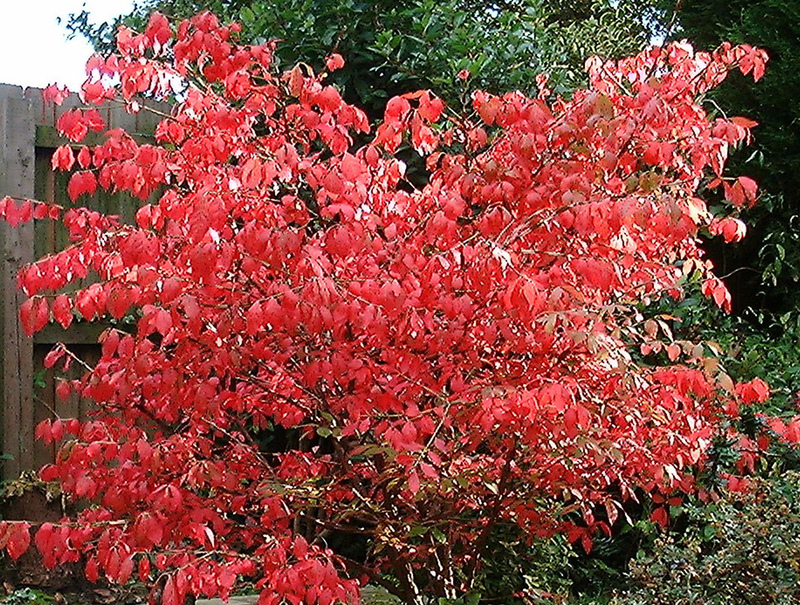 Bright and unusual Euonymus attracts openwork crown: foliage plants are small and elegant. In summer, shrub green, in September starts the "fire", painted in purple, orange, purple tones. Pink fruits are revealed, of them look red-orange seeds. 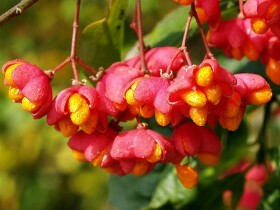 The spectacle of the flowering of the Euonymus is awesome, but we must remember, all parts of plant are poisonous. Loch silver is not less decorative, he tolerates lean soil, improving them at the same nitrogen. 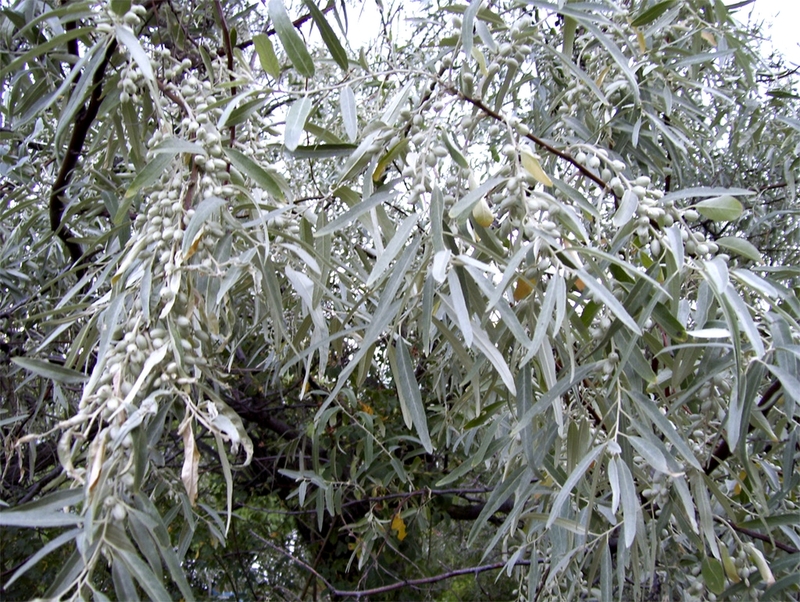 Foliage – silver, studded with tiny flowers with a pleasant aroma. In place of flowers formed fruit, that by fall turn into yellowish berries. Undemanding to care, incredibly beautiful forest guest juniper. 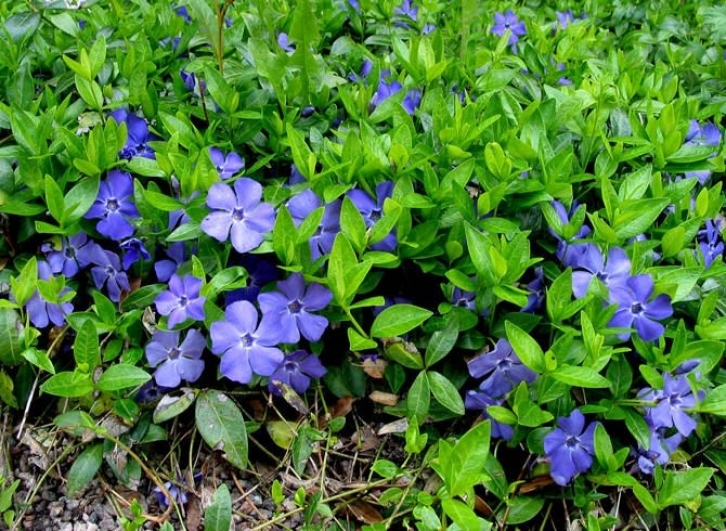 A godsend for suburban areas, the shrub propagates a light and pleasant resinous aroma. Juniper effectively complement the rock garden, tiered flower garden, decorate a garden path. Drought-tolerant plants well adapted, do not cause unnecessary trouble to the owner of the garden and serve as a worthy ornament of a suburban area. All content on this site SamDizajner.ru written specifically for Simdesigner, copying 1 in 1 strictly prohibited. Reprint, full or partial rewriting of the article “Varieties for the dry garden”, possible, only when you specify the full, active link to the source.